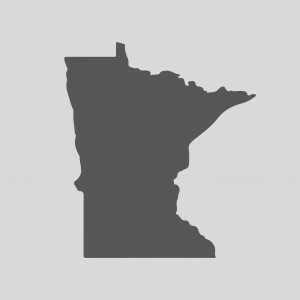 If you have been injured in a Minnesota workplace, you may be eligible for workers’ compensation through Minnesota law. All employees are entitled to compensation for injuries obtained during work hours and all employers are required by law to have this type of insurance available. While workers’ compensation insurance sounds great in theory, many injured workers find out the hard way that the claims process is a lot harder than it should be. If you are having trouble obtaining approval for your work related injury or if you have been denied compensation, then speak to the team at Teplinsky Law Group. We offer personalized assistance to help ensure that you are being fairly compensated for your injury and that your rights at not being jeopardized. Contact our team of experienced Minnesota workers’ compensation lawyers today at (612) 465-0320. Work injuries can be life changing. While some may develop over time due to repetitive stress, such as back pain or shoulder pain, other injuries occur due to an incident, such as a slip and fall or a car crash. How much compensation you are entitled to will depend entirely on your unique situation. However, in general, you can expect 66 percent of your weekly income for 18 weeks or more. There are several different types of workers’ compensation options depending on whether you have been injured temporarily or if your injury has put you off work permanently. You should be offered up to two years of paid leave – possibly much more. Furthermore, you will also be eligible for occupational therapy which can help you to train for a new position if you are unable to return to the same position that you had before the injury. In order to have your claim approved you will need to have several documents in place and evidence that the injury occurred in the workplace. With repetitive injuries, this can be hard to prove as there is no concrete incident to look back on. This is why it is so important to have a Minnesota injury lawyer assess your case and work comp claim. Whether you have been denied already or are concerned that the payout is not enough, contact our team of professional and experienced work injury attorneys. Teplinsky Law Group works on a no-win-no-fee guarantee so you have nothing to lose. You only pay if you win. Our Minneapolis work comp attorneys are available anytime you need. Contact us today at (612) 465-0320.